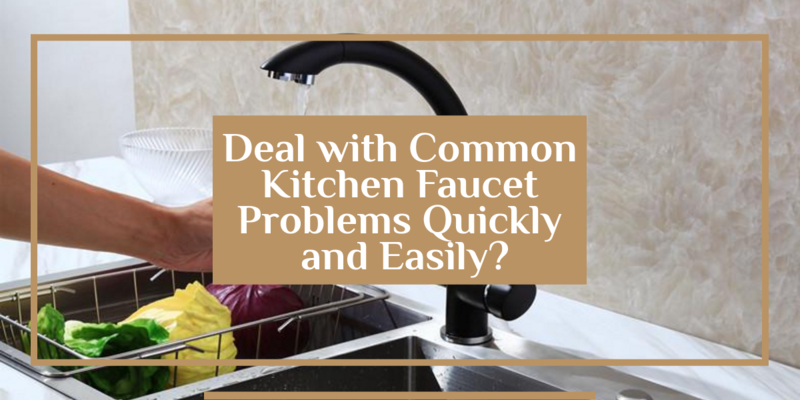 Home / Blog / How to Deal with Common Kitchen Faucet Problems Quickly and Easily? Working in a kitchen is no less than running a science lab. For those who go through the grind regularly, tasks in the kitchen can get pretty annoying at times. Moreover, things tend to take an ugly turn when Kitchen faucet run out of order. 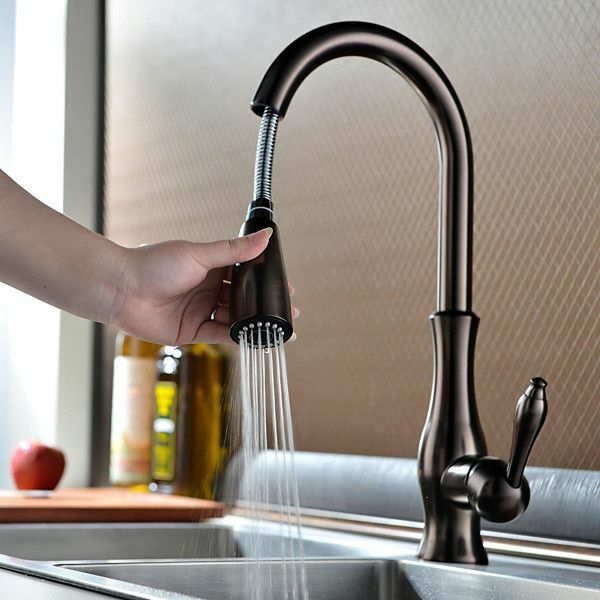 Dysfunctional faucets are the primary cause of messy kitchens. Therefore, one needs a well-functioning kitchen faucet to maintain a nice, orderly cooking area. This, in turn implies that inmates of a house must have an insight into the commonly encountered predicaments with kitchen faucets. Knowledge about kitchen faucet problems also helps individuals to handle them on their own. 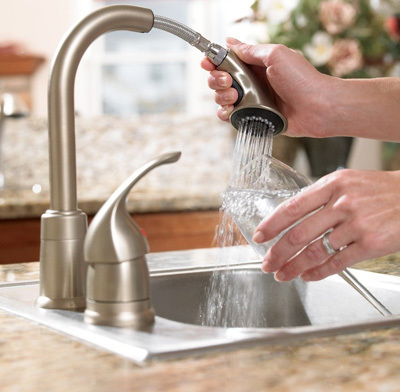 Here’s a list of frequently occurring issues with faucets, and a few tips to handle them. Water flowing at a low pressure from kitchen pipes can grate on one’s nerves. Residential areas wherein water is too hard face this issue on a recurring basis. What causes a drop in water pressure? Accumulation of debris or mineral deposits in the main water pipe, or the aerator is the reason behind low water pressure in faucets. In some cases, drop in water pressure is a result of faulty water supply as well. However, mineral accumulation is a primary cause for water pressure taking a dip. Users can separate the faucet, and its aerator, and then use vinegar to clean the parts. Usually, routine treatment of pipes and aerators with vinegar keeps mineral deposition away, particularly in places where water is particularly hard. Yet, if the problem persists, one could avail the services of a plumber to deal with it. This is a problem that users of pull-out faucets face. Hoses might tend to get tangled due to temperature fluctuations. Individuals faced with such a problem need time to disengage the tangles. Yet, this is a problem that one can solve without any external aid from a plumber. Further, hoses tend to get less tangled once temperatures stabilize. Leakage is a widely encountered problem with kitchen faucets. Moreover, not only does dripping water cause a lot of wastage, but the constant sound of the droplets hitting the floor grate on one’s nerves. Mostly, however, loose screws or nuts cause leakage in kitchen faucets. Also, dysfunctional O-rings might contribute to leakages. If rings are out of order, then they need replacement. Users can replace the rings themselves without calling plumbers. In case of loose screws, individuals can tighten them while ensuring that other parts are properly fixed as well. To keep leakages at bay, individuals must run a regular check on the faucet parts. In case one reckons that some parts need replacements, he/she can look up his/her nearest hardware store for a solution. But, one must bear in mind that not every leakage requires purchasing a new faucet. Even high quality kitchen faucets become prone to corrosion over time. Furthermore, with extended periods of usage, parts like sprays or levers have a tendency of wearing out. Corrosion usually happens due to prolonged oxygen exposure. Appearance of rust on the metallic surface is an indicator of this problem. At times, improper cleaning becomes a reason for rust spots. Effects of corrosion cannot be undone. However, proper maintenance and cleaning can prevent faucets from this problem. Users can use mild soaps, or solutions of vinegar and water for cleaning. Also, using automotive wax for finishing the cleaning process is a better alternative than availing harsh acidic cleaners. In cases wherein kitchen faucets face wear problems, the situation might get trickier than usual. Users facing this problem must opt for plumber services to repair the worn out parts. However, one doesn’t need to purchase new parts to handle damages due to wearing out of faucet constituents. Majority of the problems in kitchen faucets occur due to faulty installation. Users must not hurry while installing a new faucet. Furthermore, they must stick to the instruction manual during installation, to avoid running into problems in future. Thus, if one isn’t sure of the process, he/she should resort to the services of a professional for installing a kitchen faucet. But, in most cases, handling kitchen faucet issues is hardly a matter of few minutes, with the right know how. If things get out of hand, it is always advisable to let plumbers take care of them. After all, efficiently running faucets are the key to a functional kitchen.